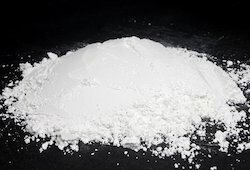 Prominent & Leading Manufacturer from Vadodara, we offer dolomite powder, barium sulphate, calcined kaolin, calcite mineral powder and calcite powder. Dolomite was named for the French mineralogist Deodat de Dolomieu. The mineral dolomite is commonly found in deposits of a sedimentary rock called dolostone. There are two types of materials often called dolomite, a true chemically uniform calcium magnesium carbonate with the chemical formula CaMg(CO3)2, and a dolomite limestone, which is just an irregular mixture of calcium and magnesium carbonates. Dolomite is believed to have formed by replacement of some of the calcium in a calcium carbonate limestone deposit with magnesium, while the sediment was undergoing lithification, being converted from layers of dead clam and other sea animal shells into crystallized calcite or calcium carbonate. The resultant dolomite mineral, CaMg(CO3)2 is a true double salt. The calcium and magnesium ions in dolomite exist in separate layers in the crystal matrix. Dolomite has a calcium layer, then a carbonate layer, then a magnesium layer then a carbonate layer, and so on. Dolomite is available in different particle size ranges: 2.5, 5, 25, 50, 150 and 600, also available as per customer’s specification. Dolomite is harder and denser than the calcite form of calcium carbonate or limestone and is more chemically inert and more impervious to acid attack. As a construction material, Dolomite is crushed and sized for use as a road base material, an aggregate in concrete and asphalt, railroad ballast, rip-rap (armor shorelines, streambeds, bridge abutments, pilings and other shoreline structures against scour and water erosion), or fill. Asphalt and concrete applications prefer dolomite as filler because of its higher strength and hardness. In the iron and steel industry, the main uses of dolomite are (i) as a fluxing material (ii) for protection of refractory lining, and (iii) as a refractory raw material. Dolomite in the iron and steel industry is normally used in three forms. These are (i) raw dolomite which is also the natural form of dolomite, (ii) calcined dolomite, and (iii) sintered dolomite. When dolomite is used as a fluxing material then it is used as either raw dolomite or calcined dolomite. In the chemical industry, dolomite is used as a source of MgO. 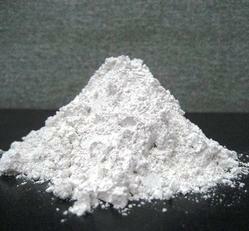 In agriculture, dolomite is used as a soil conditioner and as a feed additive for livestock. Dolomite has been used as a minor source of magnesium, but today most magnesium is produced from other sources. 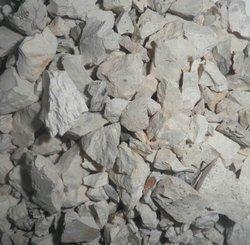 Dolomite is relatively soft and can easily be crushed to soft powder. Dolomite powder is used in agriculture to reduce soil acidity and also to adjust magnesium deficiency. Magnesium is an important plant nutrient. Dolomite powder is used as filler in various products like detergent, paints, rubbers, agriculture products, animal feed, putty, and other adhesives and sealants. It is used in the manufacture of plastics as well as ceramic tiles. Another important use of Dolomite is in Glassmaking Industry. Most commercial glasses consist essentially of silica together with soda (Na2O) and lime (CaO), the lime being partly replaced by magnesia for the same purpose. Lime is introduced into the glass melt as limestone and magnesia by adding dolomite. However, in the flat gas industry, most lime is introduced with the dolomite and only a small amount of limestone is used to balance the CaO/MgO ratio. Dolomite is also used in container glass. A critical property of the glassmaking grade of dolomite is the iron content since, mineral processing cannot effectively lower the iron content of dolomite. Usage Industrial, Laboratory, Paints & Powder coating, Masterbatches, Paper, Rubber, Glass etc. Barytes 98% Barytes is naturally occurring barium sulfates with nodular particle structure in extra super snow white (ESSW) and off-color (Brown/Gary) and it is a fine free flow powder. It is insoluble in water and has low oil absorption this coupled with strong crystalline structure and the high refractive index helps it to impart strength Barytes contain minimum 95 to 98% barium sulfate. Barytes also knew as Barytes is a form of Barium Sulphate. Normal white or Buff colored is found throughout the world as an ore. Barytes is mined by both underground and surface methods and sold as a fine white powder. barytes powder. The entire mining is open cast and shafts mine the estimated deposits are put at 1 million tonnes by acquiring the surrounding virgin sites. We have the potential and expertise in producing barytes of different grades to meet the requirement of Rubber, oil drilling, paints and paper, and industrial requirements. Barytes can be used for the purpose of filling in painting. These can be used instead of monox, a base for, Crypton, titanium dioxide etc. Their use is employed to control the thickness and stickiness of paint. The use of Barytes in plastic industry is employed for the purpose of filling plastic ABS. This is done to make the products with bright color. This also enhances the intensity, resistance to abrasiveness and stiffness. Barytes are used for filling rubber products. Barytes also aid in saving costs. These can enhance the intensity along with acid, alkali, and waterproof properties. These are also advantageous for Synthetic Rubber and Natural Rubber. In this industry, many resorts to Barytes as a barium meal material. These are used for stomach and intestines reflection. These are also used as filling for plaster and dope. In the oil industry, Barytes are used mainly as a weighting agent for the purpose of drilling fluids and gas exploration. Barytes density aids in lubrication and down-hole flow. Equipped with latest technology and manufacturing facility, we synthesize premium quality Calcined Kaolin, white free flowing powder. The accurate composite Calcined Kaolin is widely popular among globe based clients for various applications. 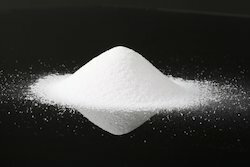 We supply Calcite Mineral Powder in coated as well as uncoated form. It is manufactured keeping in mind all the national and international standard. Calcite Mineral in coated or uncoated form is done as per customer's specification. 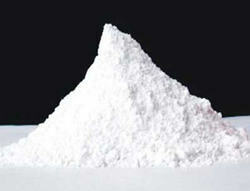 We manufacture Calcite Powder which is ultimate white calcium carbonate filler used in plastics and other compounds.